Hindugrass is a collective music project that has been around for 17 years. The Durham-based band can be anything from a quartet to an octet in live performances and the band describes its sound as "Indo-Appalachian fusion." It's a mixture of classical Indian sounds and Appalachian folk. 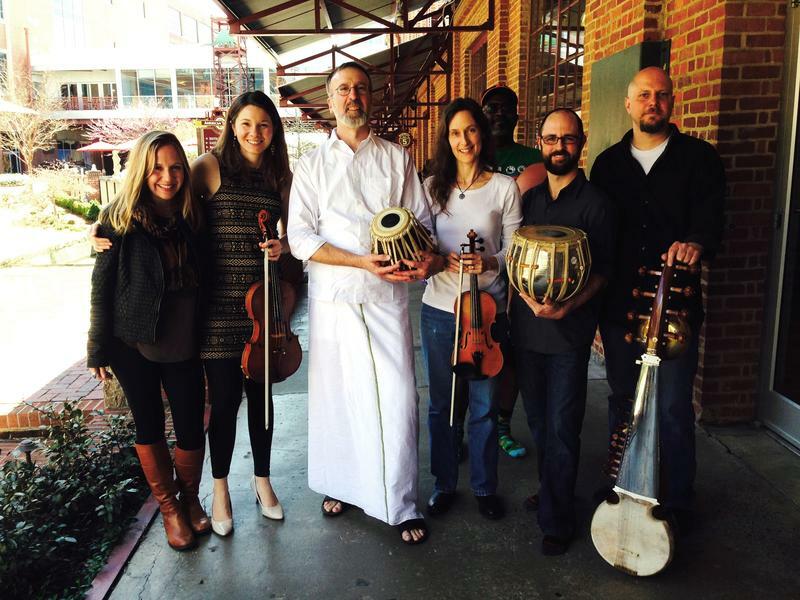 Host Frank Stasio discusses what that means with five members of Hindugrass: John Heitzenrater on the sarod, Laura Thomas on the violin, Katie Wyatt on the viola, Chris Johnson on the tabla, and Ed Butler on percussion. Hindugrass plays Saturday at 7 p.m. at Motorco in Durham to benefit the group HeartMind International. They plan to release a new album this summer.